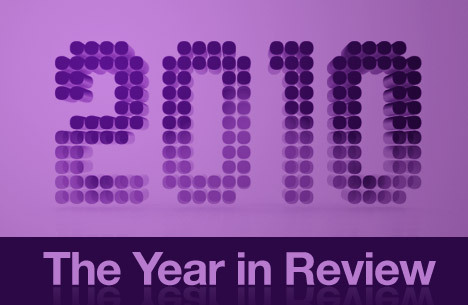 This post constitutes my “best of” for 2010, and by that I mean, those posts that I enjoyed writing the most, regardless of whether they were popular. It travels from my fight with FindLaw, through national attention due to a letter I published from Justice Scalia on secession, past an April Fool’s Day punking, and on through various court decisions, tort “reform” issues, ethical discussions and September 11. As I put this together, I realize it’s been one hell of a year with over 200,000 unique visits and almost 300,000 page views. Some time later, I’ll drop a link into the sidebar so that, a couple of years from now, I’ll be able to find the stuff that I wrote and liked, as I did for 2009. Newcomers can also see a “best of” for 2006-2008 to see the types of things I covered earlier. Demonstrating that, perhaps, there is no sewer deep enough for it to descend into, FindLaw has used the death of a child to promote the services of the lawyers that pay them fees…. Q: Who is your mortal enemy? Today’s case solves a quirk in New York’s No-Fault law regarding the “serious injury” threshold that must be met in order to bring a lawsuit. That threshold was established in the ’70s in order to cut back on the number of personal injury cases that resulted from car accidents. The case concerning the constitutionality of New York’s attorney advertising rules was argued over a year ago. And Sonia Sotomayor was on the the panel. Now she has gone up and the decision has come down by the two remaining judges of the panel regarding the rules that went into effect on February 1, 2007. And the 2nd Circuit has upheld the lower court decision in holding that most of the content-based rules violate the First Amendment. A separate section, regarding a 30-day anti-solicitation rule, was upheld both in the court below as well as in the 2nd Circuit…. It’s a contest! For the worst judicial writing in America. And I have here the first entrant. Now I confess that I publish this with great trepidation, since I appear before this appellate court from time to time. And what I have to say isn’t kind. A year ago I wrote my thoughts on what I’d like to see in a Supreme Court justice to replace David Souter in The SCOTUS Nominee and The Tissue Box Test. This probably doesn’t come as a great surprise, but one year later, with Justice John Paul Stevens having now announced his retirement, those thoughts haven’t changed. A furious fight over legal fees that erupted from the World Trade Center Disaster Site Litigation returned to public view yesterday. That litigation had resulted in a complex settlement with a range of $575M to $657M for responders sickened in the aftermath of the September 11 attack. Judge Alvin Hellerstein rejected that agreement in March, however, for some 10,000 responders, claiming that the 33% legal fees that plaintiffs’ counsel was to receive was excessive. As the Tea Party movement gains more attention, some folks want to know exactly what they believe in. Today’s question: Do they believe in a smaller, less intrusive, government or will they follow the Republican Party down the path of Big Government Tort “Reform”? I know, you’ve been sitting there on the edge of your seat waiting for this, ever since I discussed the serious lack of private practice work by Elena Kagan. Which wouldn’t be so bad except thatonly Justice Kennedy seems to have had any private practice experience. Basically, 98% of the legal time for Supreme Court justices has been in academia or public service. So Kagan’s Senate Judiciary questionairre was released, and with drool running from my mouth I searched for all that I could on her private practice — much as I did with Sonia Sotomayor when I found her little private firm, Sotomayor & Associates that had no actual associates and subsequently became a minor issue. The massive lawsuit regarding the September 11 World Trade Center attack and the 10,000 claimants has settled for the second time. The first settlement, in March of this year, was rejected by District Court Judge Alvin Hellerstein who demanded that the plaintiffs’ attorneys lower their legal fees from 33%. The new settlement has a minimum value of $625M with 95% participation by the claimants, and as much as $712.5M if other conditions are met. The original settlement was for $575M to $657M. Query: Plaintiff brings suit alleging that Defendant was negligent in causing an accident. Court agrees Defendant was negligent, but says that Plaintiff may also be comparatively negligent to some degree. Should the court grant partial summary judgment in Plaintiff’s favor and leave the issue of Plaintiff’s own negligence for the jury? Fresh off the news ticker this morning is thatMichael Jackson’s mother Katherine Jackson has brought a wrongful death actionagainst concert promoter AEG. on behalf of Jackson’s three children. According to the article, the promoter was negligent in allowing Dr. Conrad Murray to care exclusively for Jackson. The merits of that argument will rely, no doubt, on some contractual provisions between the promoter and Jackson dealing with his health. Those who give on the spot opinions as to whether the suit is good or not, without knowing what those contracts say, will likely be speaking in a vacuum…. It’s all over the news right now: The story of a 4 year old child racing her bike with training wheels down a Manhattan sidewalk, who hits 87 year old Claire Menagh, who falls, breaks her hip, and dies three weeks later. The story was first reported in the New York Law Journal yesterday (sub required) and in today’s New York Times. I hate dealing with liens when handling a case. In fact, everyone seems to hate them, except of course, the company that wants to reach its hand into a settlement and grab a little something for itself. And the big reason lawyers hate dealing with liens is an inherent conflict of interest. An injured person hired you, yet you are forced to do the work of someone else trying to capitalize on your work. Almost all of the health care liens, however, were knocked out late last year when New York passed an anti-subrogation law, prohibiting health insurers from trying to scrounge part of the lawsuit proceeds. In New York’s Workers’ Compensation world , however, — and stay with me here even though you think this might be a boring post — the lien under Workers Compensation Law section 29 is thought to be bulletproof. Which is to say, they get paid back some of the money they spent to the extent it exceeds certain limits. But I’m not so sure that lien is bulletproof. This is a short tale of two news stories this week. And money. The first reports on “trial lawyer” lobbying, and is published in The National Law Journal. The paper reports that the American Association for Justice raised $2.5M thus far this year for its political action committee. Tomorrow is November 19th. Seven score and seven years ago, on that date, Abraham Lincoln dedicated the Gettysburg battle field with one of the great speeches in American history (reprinted below). And yet, it’s only 272 words. That’s something to think about when you hit page 20 of your next brief. The fact pattern is not complex: A 32-year-old single woman had a mastectomy. But she didn’t have cancer. The modified radical mastectomy was unnecessary….